Passport translation can help take the stress out of traveling. Whether it’s to visit, study or work abroad, many people need a passport — the international travel document that admits you into a foreign country. But under what circumstances would someone need a passport translation? While it seems like a passport should be recognized and accepted in any country, you may need a legal translation of your passport. A passport translation offers peace of mind, ease of travel, and is sometimes required to enter a country. A passport is issued by a national government. It is a legal document that certifies the passport holder’s identity and country of citizenship. The passport is generally regarded as an international travel document. However, simply having a passport doesn’t necessarily equate to unlimited time in another country. 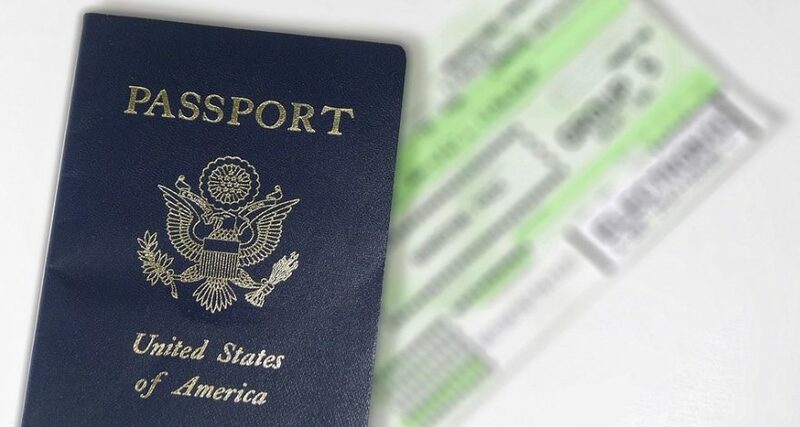 People who wish to stay in a country for an extended period of time or who want to study or work abroad must often obtain a visa, which usually gets added to the passport book. Passport translation is often utilized before visiting a country where your native language is not widely spoken. A translation of a personal legal document that proves identity and citizenship can be quite useful for common transactions involved in travel. Passport translations are a requirement to enter some countries. Recently, Libya made headlines when groups of tourists were denied entrance, despite having valid passports and the appropriate Libyan visas. Libya requires an Arabic passport translation to cross the border. Government and immigration agencies commonly request passport translations if the country’s official language is not the predominant language on the passport. If you are planning to travel to a country where the majority speaks another language, you should consider a passport translation — especially if the common language uses a completely different alphabet. A passport translation could save you a lot of time and trouble, and will assist smooth passage to your destination! In Which Languages Are Passports Issued? Many passports are still issued in French, but others are not. Some are issued in several languages, eliminating the need for passport translation. In some countries, you can even choose the language of your passport. United States: After the 1920 League of Nations meeting, US passports were issued in English and French. Spanish was added to US passports in the late 1990s in recognition of Spanish-speaking US commonwealth Puerto Rico. New Zealand: Passports from New Zealand are issued in English and Maori. European Union: Each member state of the European Union has a passport that includes every official language of the EU. Pakistan: Pakistani passports are issued in Arabic, English, French and Urdu. Belgium: Belgian passports include the three official languages of Belgium — Dutch, French and German — but citizens can choose which language is listed first on their passports. Passport translations can be especially useful when you are traveling abroad — keep this in mind when planning your next trip. Make sure your passport translation is accurate and valid by contacting Legal Language today. Is It Possible to Avoid Jury Duty? Great article. I never heard about this before. I always used to think that a passport is just valid all over the world because it is a passport.